Smart Dubai is piloting Dubai's first real-time crowd management and incident prevention solution on the Internet of Things. 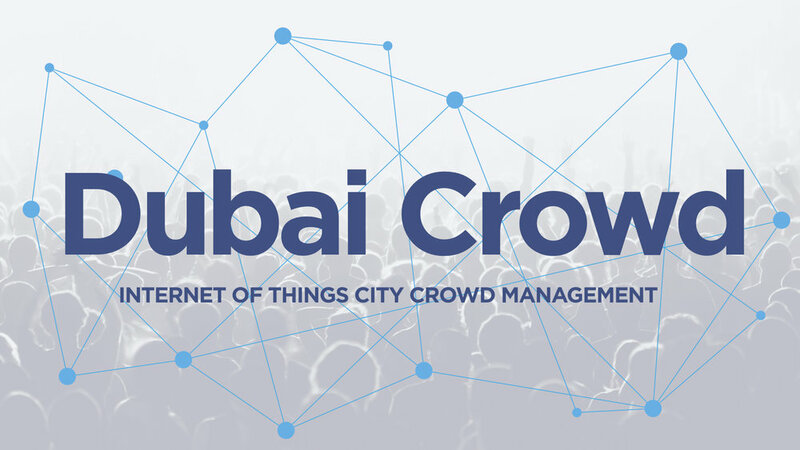 Dubai’s first IOT pilot synchronises and analyses data in real-time for crowd tracking and response management, ensuring that wherever we gather in our city, our well-being is secured. Dubai Crowd will feature real-time data synchronisation, analysis and insights for collaborative action from all participating partners, with connected dashboards providing advanced visualisation, filtering, drill down and analytical capabilities for online access. Smart Dubai will deliver Dubai Crowd with a cross-sector collaborative network of partners to ensure citywide impact. Smart Dubai will partner with data providers to feed ready, open or share-able data into a collaborative, real-time insights platform that will deliver to data consumers the most up-to-date and comprehensive data available to proactively plan for or respond to security incidents resulting from large crowd gatherings. Smart Dubai will collaborate closely with strategic partners, telecommunications providers and implementation partners to ensure that the city's first IoT pilot, Dubai Crowd, effectively delivers the greatest possible benefits for efficiency, security and peace of mind to all Dubai residents and visitors.